Be the first to share your favorite memory, photo or story of Van. This memorial page is dedicated for family, friends and future generations to celebrate the life of their loved one. Van Kent Baird, 76, of Eldorado, passed away Friday, Sept. 7, 2018 at his residence. He was born in Eldorado on Dec. 25, 1941 to John O. and Audrey Crane Baird. On Jan. 22, 1966, he married Barbara Kanady and she survives. He was a graduate of Eldorado Township High School Class of 1959. 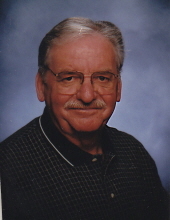 After receiving a Bachelor of Science from Southern Illinois University, he worked for many years as a teacher in the Eldorado Unit 4 School System from 1967-2002. Prior to teaching in Eldorado, he taught school in Dale, Illinois from 1964-1966. He served as past president of Eldorado Education Association, Junior High Basketball and Track coach, former GED instructor at Southeastern Illinois College, past president of Saline-Gallatin Retired Teachers Association, former Illinois Retired Teachers Association-Region 18 Legislative Chairman, member of the Regional Planning Commission, former Finance Commissioner and member of Eldorado City Council, Eldorado Democratic Precinct Committeeman, and former Vice Chairman of the Saline County Democrat Party. He also owned and operated Personal Touch Trophy. He loved horses, camping, politics, woodworking, and especially his grandchildren. In addition to his wife Barbara, he is survived by daughters Mindy (Dan) Loudy of Eldorado and Cheryl (James) Tuttle of Galatia; brothers Keith (Sheila) Baird of Eldorado and Max (Kathy) Baird of Sheboygan Falls, WI; grandsons Grant Loudy of Eldorado, Lance Corporal James (Jay) Tuttle of Camp Pendelton, CA and John Tuttle of Galatia; granddaughter Jessica Tuttle of Galatia; sister-in-law Wilmetta Baird of Eldorado; special friend Brenda Gotkin; dialysis nurse Danielle Griffin and Family; and also 2 nieces and 2 nephews. Along with his parents, he was preceeded by his brother Bennie Baird and also a niece. Funeral services will be held at 11 am Wednesday Sept. 12, 2018 at Watson Funeral Home in Eldorado with Rev. Aaron Phelps and Scott Pilkington officiating with burial in Dodd Cemetery in Eldorado. Visitation will be from 4 pm until 8 pm Tuesday, Sept. 11, 2018. On-line condolences to the family may be made at www.watsonfuneralhome.net. To send flowers or a remembrance gift to the family of Van Kent Baird, please visit our Tribute Store. "Email Address" would like to share the life celebration of Van Kent Baird. Click on the "link" to go to share a favorite memory or leave a condolence message for the family.